Home » Health » What Is Eye Cancer? Sklera, is the white, the loudest, and the most outgoing network. At the front of the eye, there is a clear colored sclera called the cornea of ​​the eye. The retina, the deepest inner eye tissue composed of light-sensitive nerve cells. Uvea, is a network of eyeballs located between the retina and the sclera. Uvea is made up of irises that give color to the eyes and form pupils, a coroid that serves to provide nutrients to the eye and also contains pigment-producing cells (melanocytes), and ciliary bodies that regulate the lens of the eye. Orbit a . Eye orbits are the various tissues that surround the eyeballs, including the muscles of the eyeball movement. Eye Accessories. Accessories or adnexa parts are an additional part of the eye such as eyebrows, tear glands, eyelids, conjunctiva, and eyelashes. 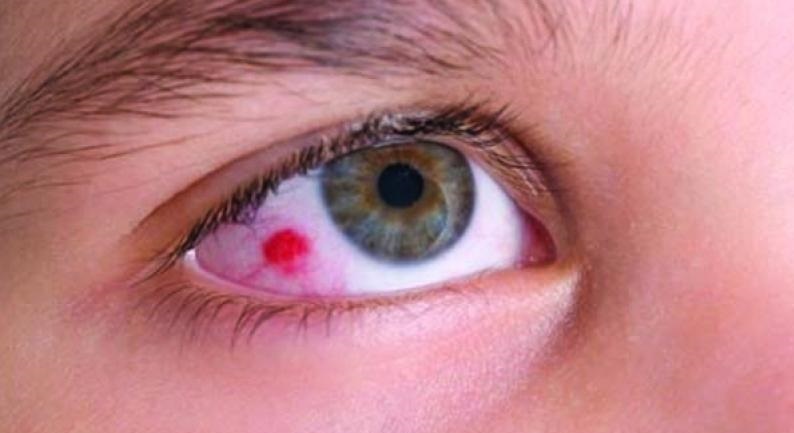 Eye cancer can start from the eyes or from other organs that cancer cells spread to the eye. Eye cancer originating from the eye is called primary eye cancer. While eye cancer originating from other organs called secondary eye cancer. Eye cancer is a rare disease. Intraocular melanoma. This is a type of melanoma cancer that occurs in the eyeball tissue. Intraocular melanoma is the most common type of eye cancer, but it is still rare compared with melanoma skin cancer . Cancer of melanoma occurs in pigment-producing cells or melanocytes located in the uvea tissues. The choroid is the most frequent site of tumor growth. In addition to the choroid, intraocular melanoma can first be detected in the iris tissue. Melanoma in the iris is a cancer that grows slowly and rarely spread to other organs. Intraocular lymphoma. Named intraocular lymphoma, because this cancer occurs in cells in the lymph nodes in the eye. Intraocular lymphomas that appear often include non-Hodgkin's lymphoma group. Most people with intraocular lymphoma have problems with their immune system, for example, suffering from AIDS. Intraocular lymphoma also often coexists with lymphoma of the central nervous system called primary central nervous system lymphoma (PCNSL). Retinoblastoma. Retinoblastoma is a specific eye cancer affecting children. Retinoblastoma arises from the mutation of the gene in the retina which causes the retinal cells to divide rapidly and spread to the tissues of the eyes as well as other body parts. Retinoblastoma can occur in one or both eyes. If it occurs in both eyes, retinoblastoma can be detected even before the age of 1 year. If detected early, retinoblastoma can be treated well and have a high cure rate. In addition to retinoblastoma, medulloepithelioma is the second most frequent eye cancer in the eyeball, although very rare. Eyelid cancer. Is a variant of skin cancer. May be basal cell carcinoma or squamous cell carcinoma . Orbital cancer. Cancer that occurs in the muscles of the eyeball and the connective tissue around the eyeball ( rhabdomyosarcoma ). Conjunctival melanoma. The conjunctiva is the membrane lining the eyelids and eyeballs. Conjunctival melanoma looks like a black spot on the eye. There are dark spots on the iris. This dark spot appears on iris melanomas and can be seen in routine eye examinations. See things that float (floaters), lines, or spots. See the flashes of light. These symptoms can also arise due to other diseases, in addition to eye cancer. And sometimes eye cancer, especially intraocular melanoma, has no symptoms. Intraocular melanoma is often first detected during eye examination. Because of the symptoms of non-specific eye cancer, it is advisable to undergo diagnostic procedures if symptoms are felt. Eyes are red and inflamed. White reflections appear in the pupils of the eye, which can be seen when photographed in a dark room. Reasonable pupil reflection when photographed is usually red. The cause of eye cancer that is known so far is the result of gene mutations in the eye tissue, especially the genes that regulate cell growth. Under normal conditions, the cells will split regularly and periodically to replace damaged cells. To prevent the cells from dividing wild and uncontrolled, there are genes that regulate when the cells start and stop dividing. Eye cancer is caused by DNA changes in genes that regulate cellular tissue division. DNA changes in the gene cause the gene to regulate cell division is not working, so that the eye cells split uncontrollably. However, until now the cause of DNA mutations in the gene is still not known for certain. Has a brighter eye color, like blue or green, compared to people with dark eye color. Has a family with a history of intraocular melanoma. Some studies suggest other factors, such as exposure to sunlight or ultraviolet light, which also causes skin melanoma. Some occupations are also thought to increase a person's risk of developing melanoma, such as welders, fishermen, farmers, or jobs associated with harmful chemicals. Especially for retinoblastoma, until now not known for certain things that can cause a person more easily suffer from the disease. While intraocular lymphoma, it is easier to occur in people suffering from HIV / AIDS or undergo immunosuppressive treatment after an organ transplant. Symptoms are experienced, including a history of symptoms of eye cancer. Eye blood vessels, to check the dilation of blood vessels in the eye. Vitreous humor , the clear liquid like jelly in the eyeball. If there is intraocular lymphoma, usually vitreous humor will experience the turbidity. Scanning. Scans such as ultrasound , CT scan, or MRI function to determine the location and size of cancer cells. Scans can also be performed on other organs, in addition to the eyes, to detect the spread of cancer to other organs, such as chest X-ray, liver ultrasound, or PET Scan. Biopsy. A biopsy is performed by taking samples of eye tissue suspected of having cancer and examined under a microscope. Biopsy is rarely performed as a diagnostic method, unless it is very necessary, as it is difficult to take eye tissue samples without causing any damage. Lumbar puncture (lumbar puncture) test . The lumbar puncture aims to detect whether intraocular lymphoma cancer has spread to the brain or spinal cord. This test is done by taking cerebrospinal fluid from the spinal area. Iridektomi. Lift part of the iris to treat small iris melanoma. Iridotrabulektomi. Lift part of the iris along with a little outside of the eyeball to treat melanoma on the iris. Iridocycletom. Raises part of the iris along with some ciliary bodies to treat iris melanoma. Transcleral resection. Lifting melanoma cancer that occurs in the choroid or body This action is at risk of causing visual impairment. Enukleasi. Lifting the whole eyeball. This procedure is usually done to treat large melanomas or small melanomas in patients who have lost their total vision. Enucleation may also be performed in children with retinoblastoma if the retinoblastoma tumor is already large or if the child has lost sight. Instead, the child can be given a fake eyeball instead of the raised eyeball. Brachytherapy. Brachytherapy is performed by inserting small-sized radioactive plates in the area around the eyes that are close to the cancer tissue. The plate will emit radiation with a narrow spectrum for several days, before it is finally removed. These plates are designed specifically to minimize damage to healthy tissue around the cancer. Brachytherapy can be used to treat melanoma and retinoblastoma. External radiotherapy. In external radiotherapy, X-rays will be fired from outside the patient's body that is focused on the eye. This method can be used in patients with both intraocular lymphoma and retinoblastoma. External radiotherapy is at risk of damaging other healthy tissues around the cancer and resulting in cataracts, glaucoma , eye bleeding, and retinal detachment . Laser therapy. Laser therapy serves to destroy cancerous tissue using laser light. Laser therapy is commonly used in patients with small intraocular melanoma and retinoblastoma, but is not recommended in patients with intraocular lymphoma. Chemotherapy. Chemotherapy is a method of treating eye cancer using chemical drugs. Chemotherapy can be injected directly into the eye area (intraocular), into the cerebrospinal fluid (intrathecal), or administered through the systemic (intravenous) bloodstream. Chemotherapy may be given to people with retinoblastoma, or intraocular lymphoma. Cryotherapy . This is a cancer treatment method by freezing cancer tissue. Cryotherapy can be given to patients with retinoblastoma who are still small. It is recommended to avoid exposure to sunlight or ultraviolet light by wearing UV-protected glasses when the sun is hot, although the relationship between sunlight and melanoma events in the eye is unclear. To prevent intraocular lymphoma is to prevent HIV infection, which is a risk factor for intraocular lymphoma triggers. Screening for children with a family history of retinoblastoma is the best prevention for retinoblastoma, since early discovery is crucial to the success of treatment. 0 Response to "What Is Eye Cancer?"